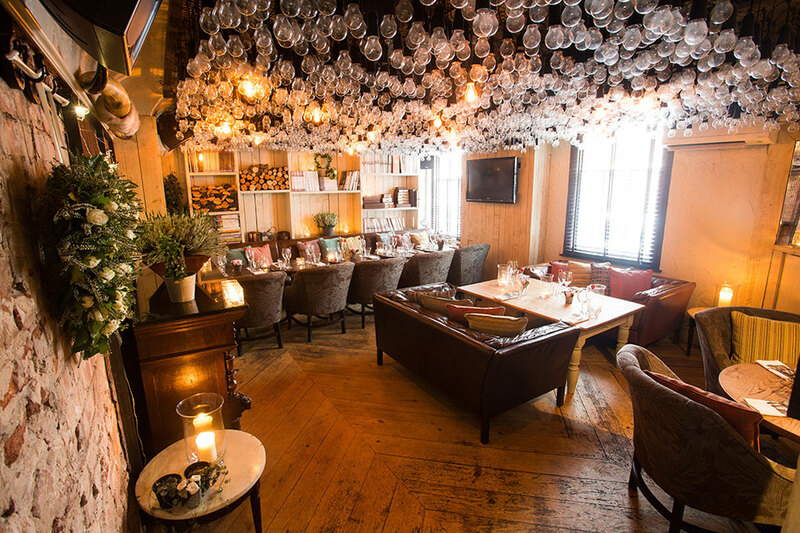 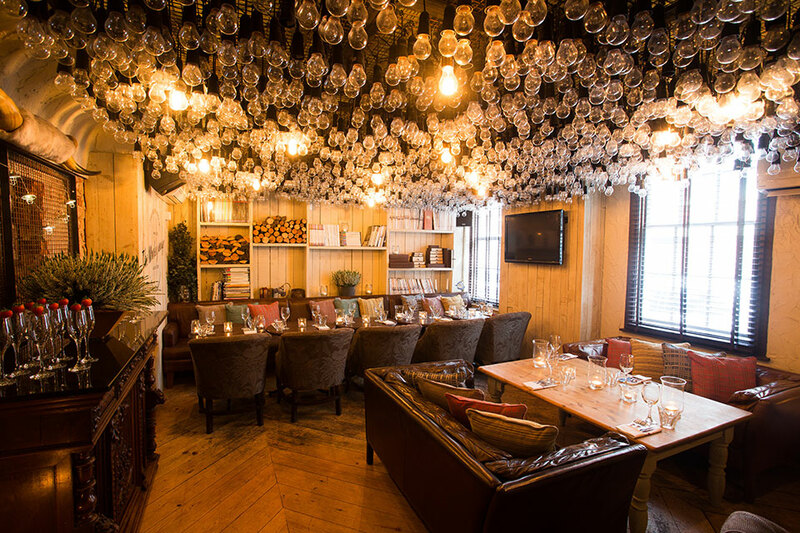 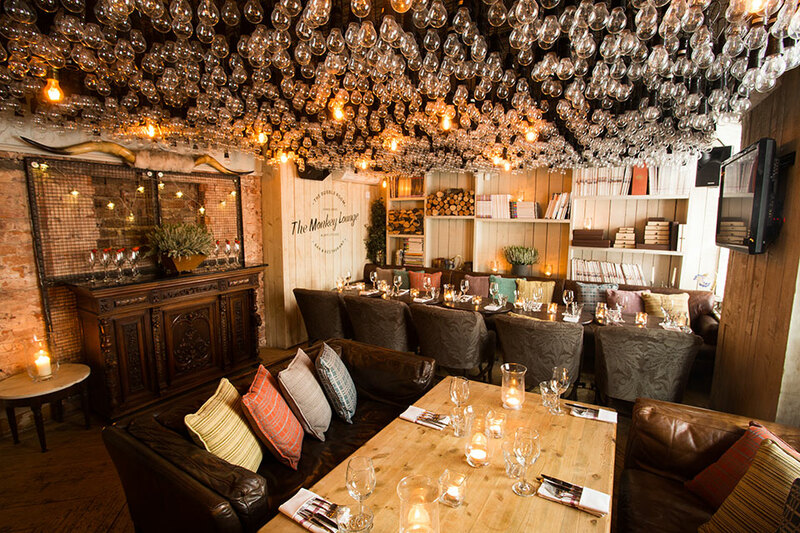 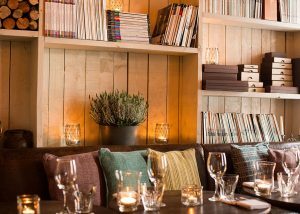 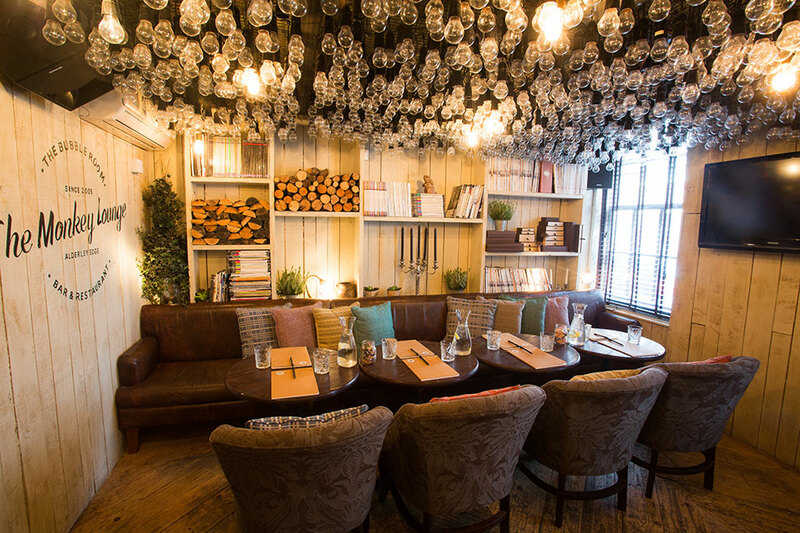 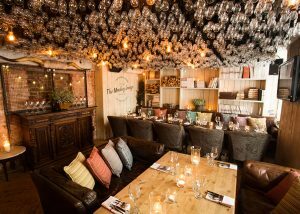 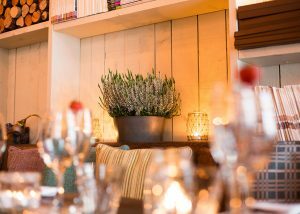 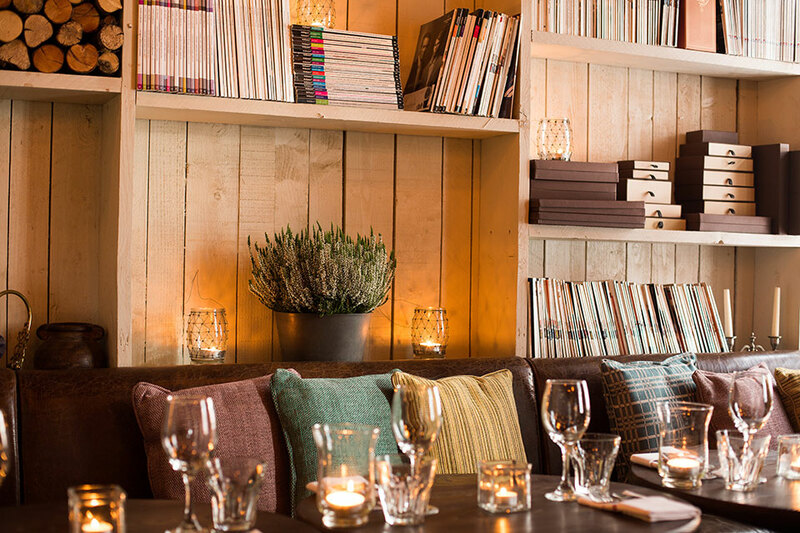 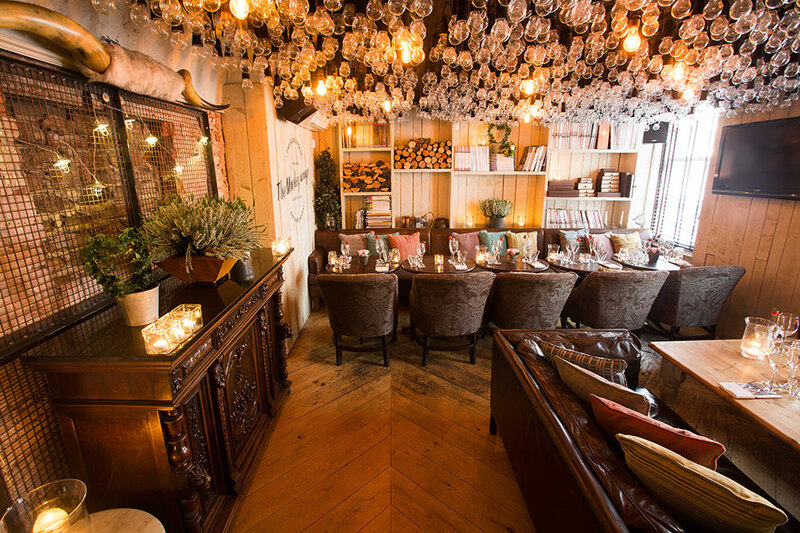 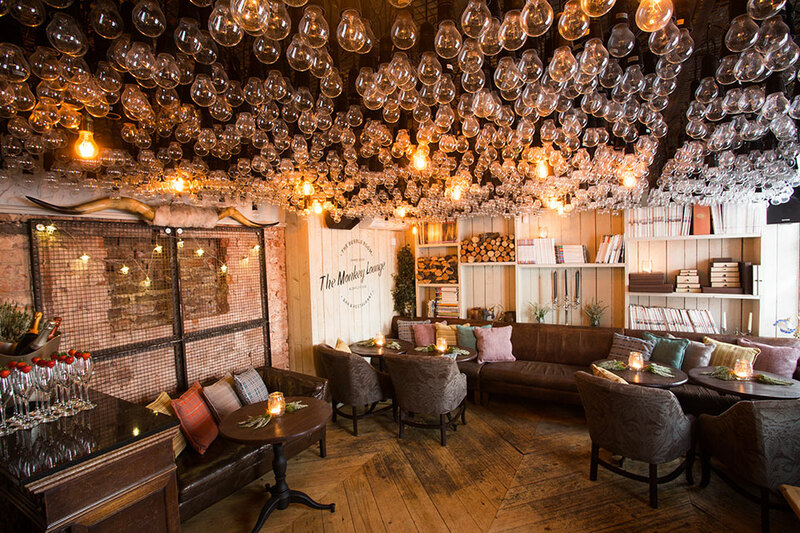 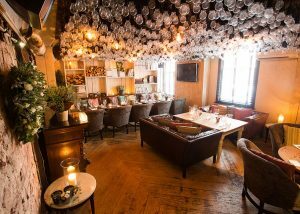 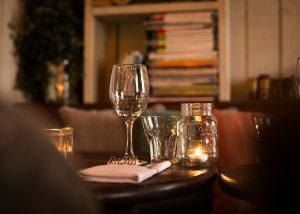 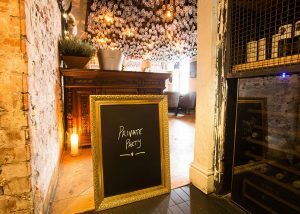 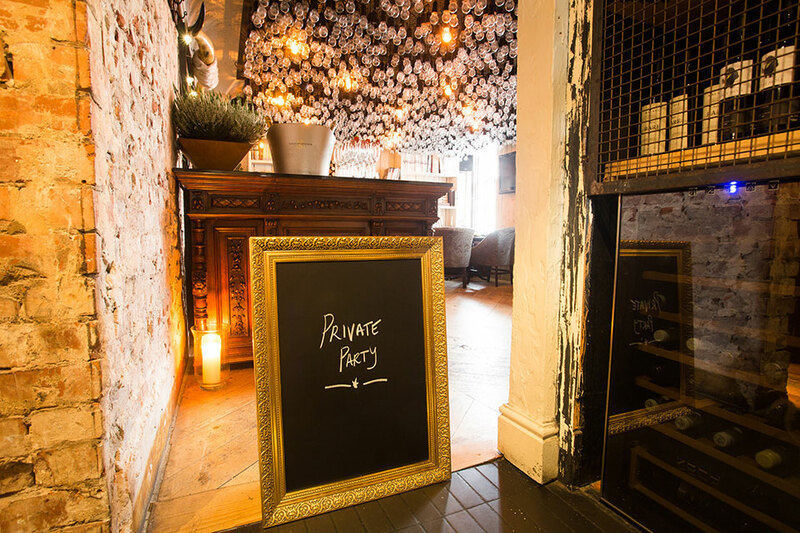 As an established venue within the village of Alderley Edge, we are proud to offer our customers the option of exclusive use of our snug – “Monkey Lounge” for their private dining events or a variety of different functions. 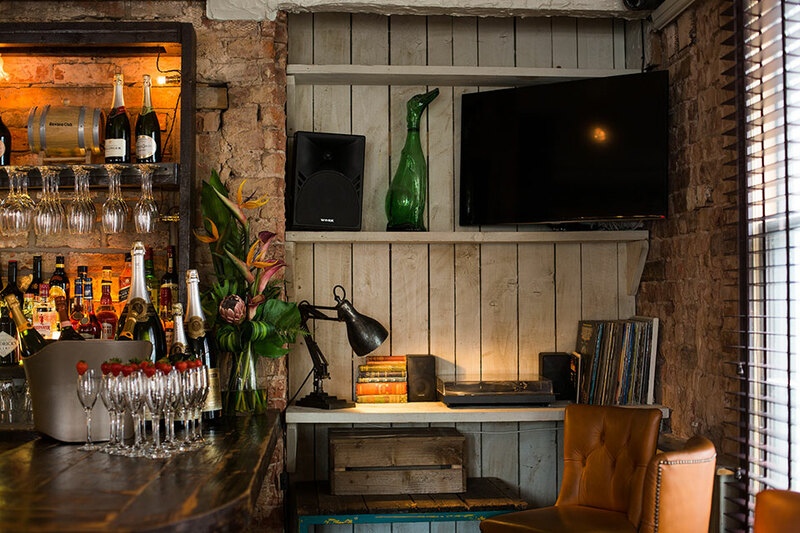 This area benefits from having plenty of both seated and standing space – depending on which your event requires. 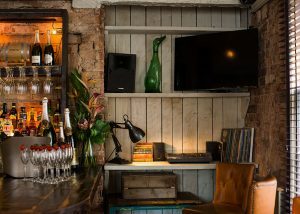 Both the lighting and music is worked independently in each room to ensure that the atmosphere can be tailored to each individual party’s needs. 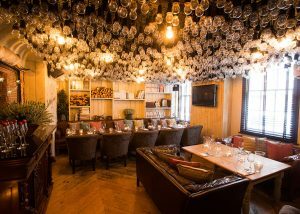 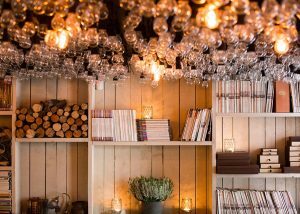 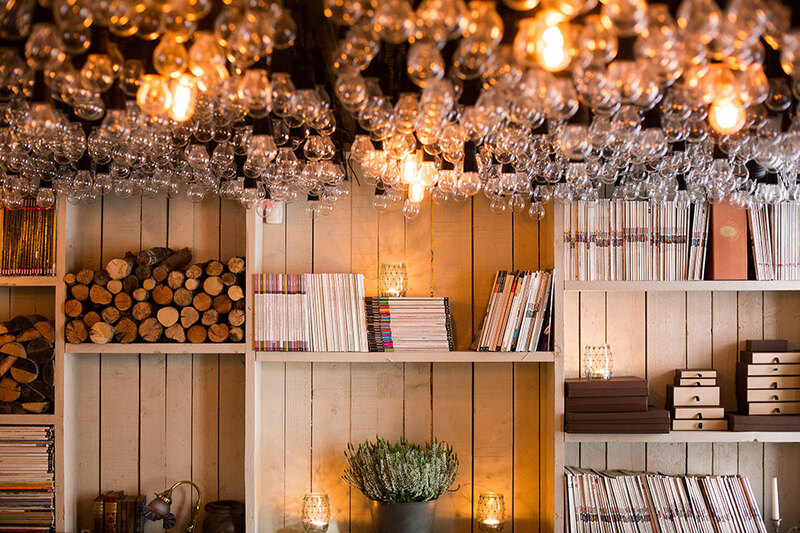 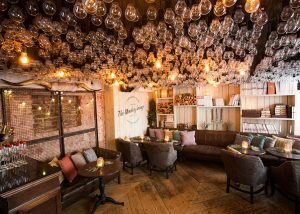 The venue itself is uniquely decorated with a comfortable lounge feel and our “famous ceiling of light bulbs”, it offers a light but intimate atmosphere – perfect for a wide range of functions. 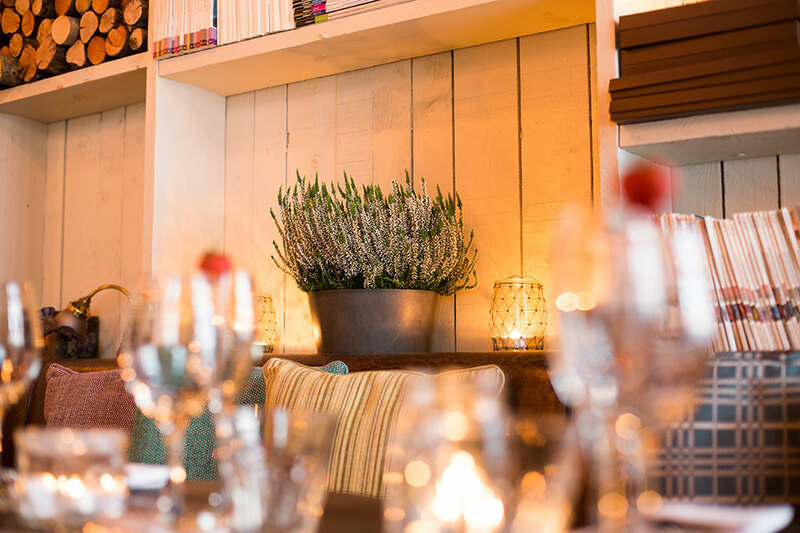 Whether it is an office party, business lunch meeting, informal drinks party or formal sit down meal, we can assure you that all will be dealt with in a professional and personalised manner.